UPDATED: Mon., Dec. 11, 2017, 5:07 p.m.
At least one of the wolves had a radio collar attached by the Washington Department of Fish and Wildlife. 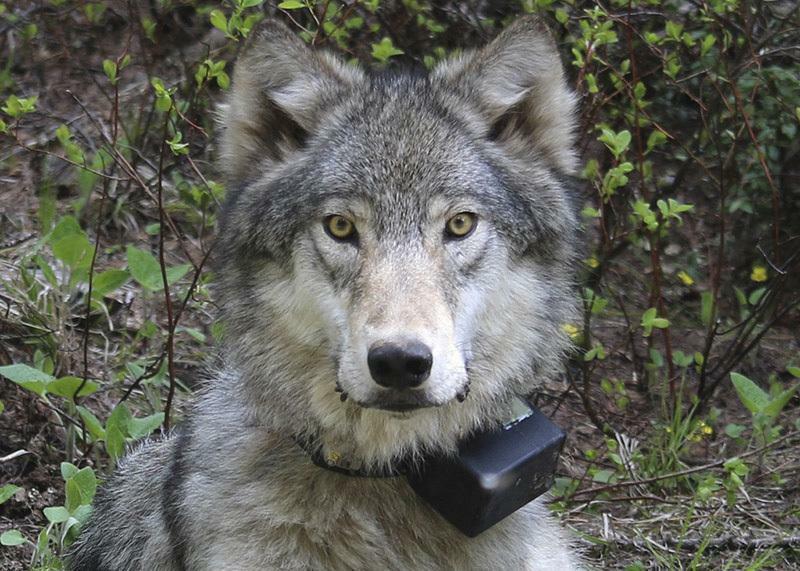 The collar stopped working, which prompted monitors to track the wolf to the last known location, where they found the animal’s carcass, said Chase Gunnell, the communications director of Conservation Northwest. “Because this is an area we worked in directly … it’s particularly egregious that someone would take this upon themselves to kill these wolves,” he said, referencing work Conservation Northwest has done to help ranchers and wolves coexist. The two wolves were both female. At least one was a member of the Dirty Shirt pack. They were found in late November. At least one of the wolves was found in Stevens County. Conservation Northwest is offering $10,000 for information leading to conviction of the poachers. WDFW officials confirmed the killings, along with some basic details of the case, while talking to Conservation Northwest Executive Director Mitch Friedman Saturday. WDFW officials did not immediately return calls and emails seeking comment Saturday. The state lists wolves as an endangered species. Wolves are federally protected in the western two-thirds of the state. The state penalty for killing a wolf is a $5,000 fine and/or a year in jail. The federal penalty is a $100,000 fine and a maximum prison term of one year. Wolves have been a contentious issue in Washington with ranchers and others who worry that the animals are a menace to livestock and are reducing the numbers of elk and other ungulates. Wolves went extinct in Washington in the early 20th century, but in the early 2000s began migrating back into the state from Idaho and Canada. State officials confirmed the first wolf pack in 2008. This week, WDFW issued a report showing that wolves aren’t hurting deer, elk, moose and bighorn sheep populations. For the past seven years, Conservation Northwest has helped fund Range Riders in northeast and eastern Washington. The riders supervise herds and help deter wolf attacks. WDFW officials documented at least 115 wolves in the state at the end of 2016 and 20 wolf packs. All documented wolf packs are east of the Cascade Range. Washington officials have killed 18 problem wolves since 2012. A wolf in Oregon was illegally killed in April. Other environmental advocacy groups condemned the killings Saturday. Correction: The original story inaccurately stated which packs the two wolves belonged to. At least one wolf was a member of the Dirty Shirt pack. The story has been updated. The story incorrectly labeled wolves status as an endangered species under Washington law. The story has been updated. Published: Dec. 9, 2017, 6:33 p.m. Updated: Dec. 11, 2017, 5:07 p.m.